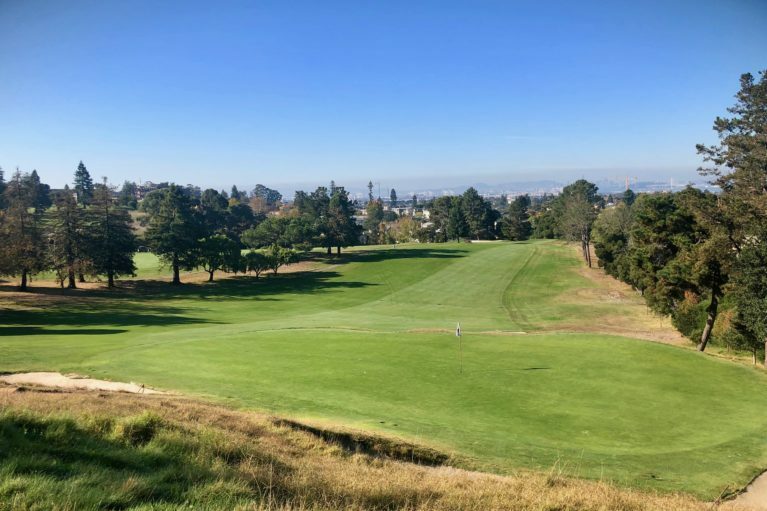 Claremont Country Club is an Alister MacKenzie Golf Course located near Oakland SanFrancisco USA. Claremont is the hardest 5800-yard course any golfer will ever play. The Club is a private members club and joining the club is essential to play on the golf course. However, there are other club facilities to enjoy such as tennis and a health club. In fact, the club is a wonderful place to join. Indeed, the club pays particular attention to the golf course’s maintenance. The fairways are kept really well and also the greens are kept pristine. The bunkers are tough to play from, but the sand is wonderful to play from. Claremont is a wonderful golf experience.